Although black hair needs to be shampooed on a regular basis, daily shampooing is generally not recommended as it can be too drying. Between shampoos, you can wet the hair, apply conditioner and comb it through. The hair still gets the moisture it needs without being stripped of natural oils by too-frequent shampooing. 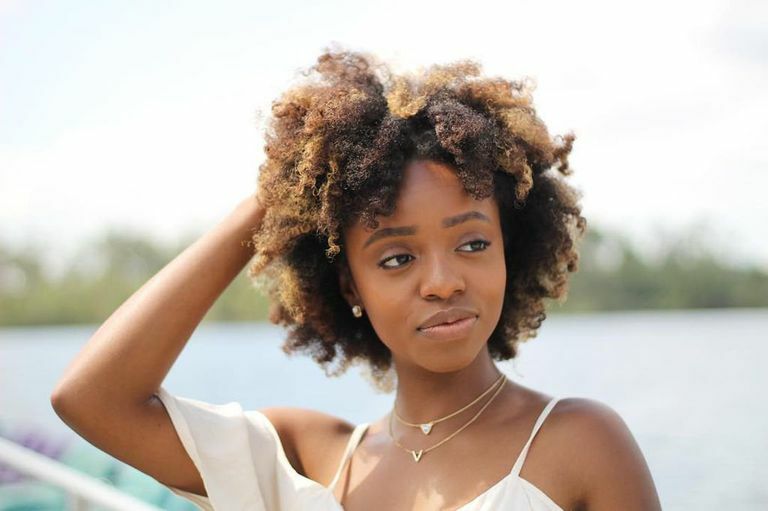 While anyone can benefit from conditioner washes, women with natural hair may find it particularly beneficial, as the hair can be wet as needed without drying it out. Frequent exercises will also find co-washes helpful in rinsing away sweat and perspiration buildup throughout the week. Completely saturate your hair with water. If your hair is thick, separate it into several sections to make sure all your hair gets wet. Once your hair is saturated, squeeze excess water from it. Apply conditioner to your hair in sections. Use enough conditioner per section so that your hair is thoroughly coated in it. Use your fingers to work conditioner through your hair in a downward motion. Begin at the bottom of your hair if it's tangled and work your way up. Apply more conditioner to the ends of your hair, which tend to be the driest and can use the additional moisture. Comb through each section of your hair with a wide-tooth comb. Again, begin at the bottom and work your way toward your scalp. Rub your scalp with the balls of your fingers. It's important to cleanse your scalp as part of the conditioner washing process, so spend as much time on this, if not more, as you do detangling. Rinse your hair thoroughly, in sections if necessary. Now that you know how easy it is to co-wash, what conditioner should you use? The conditioner you use doesn't need to be expensive, it just needs to be moisturizing. Conditioner washing in the shower is probably the easiest way to cleanse your hair, unless you have access to a sink bowl. While you can conditioner wash daily, make sure you shampoo your hair as well. You may find a weekly or biweekly shampoo works well by alternating with co-washing. You may find it helpful to rinse your hair about 90% instead of completely rinsing all of the conditioner out. This will give your hair some slip. Do not use protein-laden conditioners for co-washing. The protein will build up and dry out your hair.